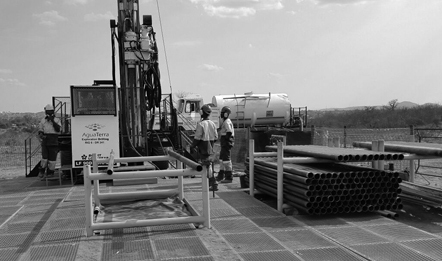 Geosearch is Africa’s premier exploration drilling company. Geosearch was founded in 1989. Unicorn Capital Partners Ltd (Formally knowna as Sentula Mining Limited) listed on the Johannesburg Stock Exchange, acquired Geosearch and all its subsidiary companies on 1st October 2006. Subsequent expansions lead to the formation of Geosearch International, and the company used this division to expand the operations on the entire African continent. 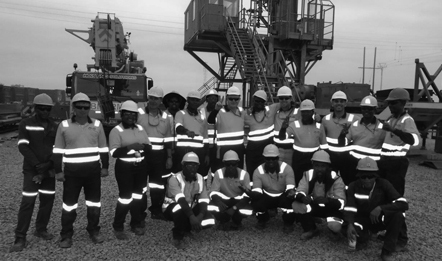 Geosearch currently has over 35 rigs operating on the African continent and employs in excess of 500 staff members. Exploration and mining companies have utilised our services across a diverse range of commodities, including platinum, gold, coal, copper, cobalt, nickel, diamond and uranium. Geosearch Group Operational Head Office is situated in Johannesburg, South Africa. Administration and Supply Chain Services are managed from Pretoria, South Africa. Geosearch has established regional operational offices in Johannesburg (South Africa), Tete (Mozambique), and Francistown (Botswana) that provide administrative, logistical and workshop services for the individual regions. Sentula Mining Services Mauritius, trading as Geosearch International, is actively evaluating business opportunities in all regions across the African continent, and will operate in any country deemed viable. Geosearch will also assess every opportunity and country on its merits. Geosearch prides itself on its exceptional in-house expertise accumulated over the past 25+ years. Our commitment to Safety, Health, Environment and Quality Training (in-house), as well as the up liftment of all local communities where we operate, is paramount to our business philosophy. Our rapid response to our Clients’ needs and our supply chain’s ability to replenish and support our operations has differentiated us from all our competitors. Geosearch is an ISO 9001:2015 / ISO 14001:2015 / OHAS 18001:2007 Certified Company. RC drilling is achieved by blowing air down the rods, the differential pressure creates air lift of the cuttings up the inner tube. Using compressed air to drive a piston-driven hammer that delivers a series of impacts to the shank end of a drill rod or attached steel bit. 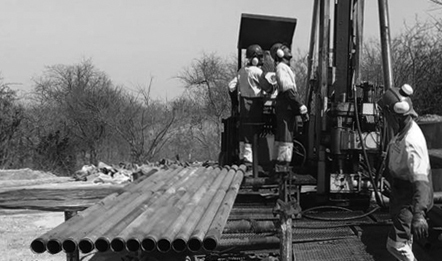 Geosearch Group has great amount of experience in percussion drilling. Learn from our outcomes – what worked and what does not, and why?